It is of utmost importance to train students to use appropriate lexical inferencing strategies, especially in an EAP context where a greater vocabulary mastery is required to deal with longer texts with higher lexical density. Focusing on Lexical Inferencing has enabled me to explore this area further with Intermediate students. 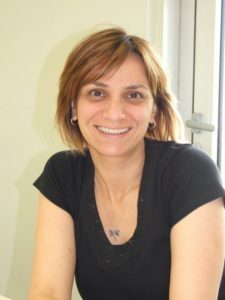 Mutlu Isil Ergun is a teacher trainer at Bilkent University, Ankara, Turkey. Currently, she is teaching on the Delta course. Who is Mutlu Isil Ergun? What is the single characteristic that you want most people to know about you? It is very important to train students to use appropriate lexical inferencing strategies, especially in an EAP context where a greater vocabulary mastery is required to deal with longer texts with higher lexical density. The strand I planned and implemented trained students in that respect to help them transform into more autonomous learners. Definitely the first T – Teach as it is the superordinate of all the other Ts. Excitement and warmth. TESOL Greece is giving me the chance to present my talk in this lovely country which I have very close ancestral links to. I believe that there will be a lot of opportunities to discuss teaching and training matters with the colleagues from all over the world. A chance to widen our perspectives and share our knowledge and experience.